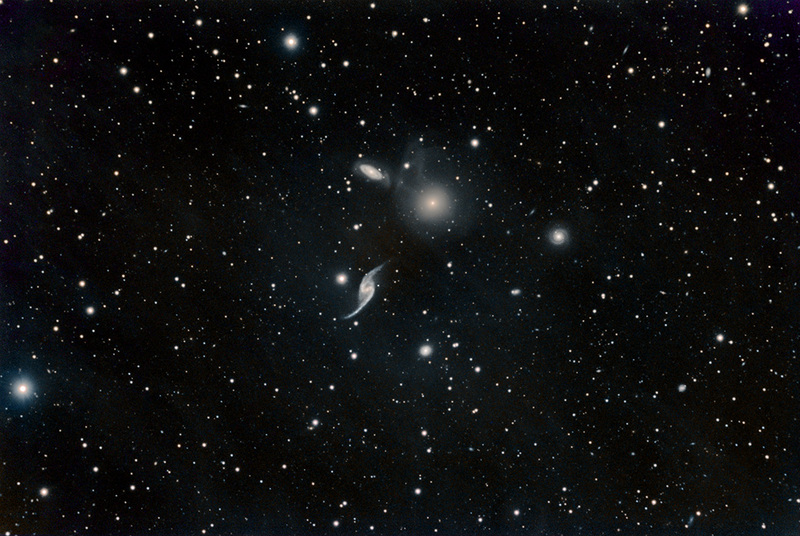 Hickson 93 is a group of galaxies in Pegasus. The largest and brightest is NGC 7550 (magnitude 12.2). The barred spiral to its lower left is NGC 7549 (13.2). Moving clockwise, the others are NGC 7547 (13.6), NGC 7558 (14.9), and NGC 7553 (14.4).